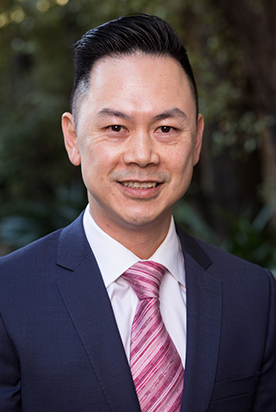 Hanh has been assisting clients for over 20 years across accounting, financial planning and self-managed superannuation. He is particularly passionate about working with small business owners to create highly profitable businesses. Hanh firmly believes that the success of a business relies on the owner(s) having access to a trusted adviser that can support them along their journey. He works closely with his clients, assisting them to implement systems and processes, maximise cash flow, obtain financing, develop business plans, as well as manage staffing and many other areas. He does this to ensure that his clients have the best possible foundation from which to grow a strong business and achieve their goals. He takes a very hands-on approach in supporting his clients and builds lasting relationships to ensure they always feel they can approach him anytime for assistance. Hanh also understands that people work hard to build their future and realise their dreams. A large part of which is making their financial and emotional investment work for them and their family, both now and in the future. He works hard to deliver a highly personalised service, tailored to each client and their specific circumstances no matter where they are in their financial journey. Out of the office, Hanh is a devoted family man with two young children, who also enjoys watching his beloved Hawks and coaching basketball.